An interesting reflection nebula complex located between Antares and Rho-Ophiuchi. This nebula is quite faint and low in the southern sky and needs more exposure time. 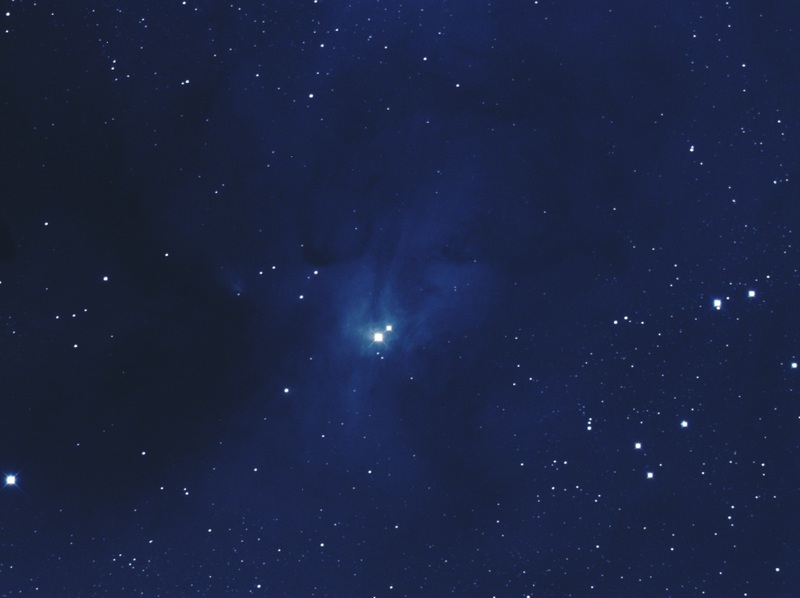 See this image for a wide-field schmidt camera image of this area by Chris Schur.